Shri Teerthdham Mangalayatan is a Jain temple complex spread over 16 acres of area. It is situated on the outskirts of Aligarh near Sasni town. Besides many temples in the complex there is Jain school of teaching and Jain food restaurant within the complex. A Gurukul (Hostel school) has also been setup here which provides formal education in association with Delhi Public School (DPS), in addition to Spiritual education. 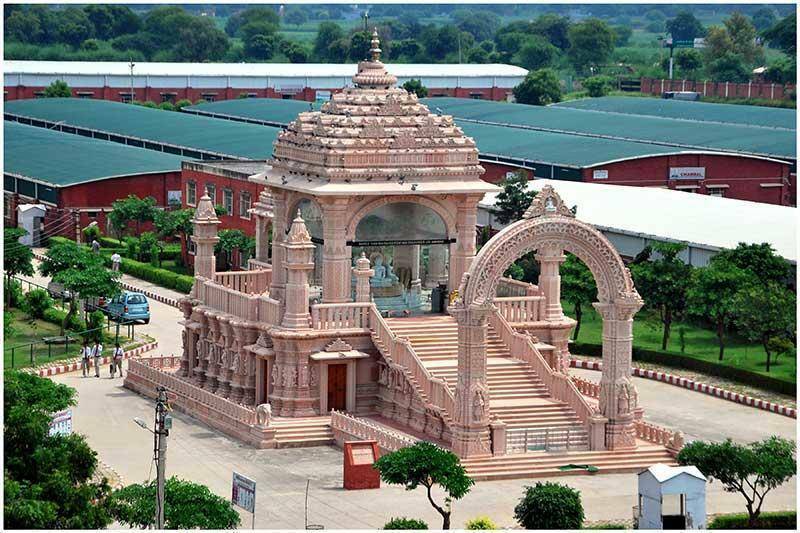 The trust, Shri Adinath Kundakunda Kahan Digambar Jain Trust, Aligarh, has also established Mangalayata University where various programs of formal education take place. Annual Gatherings happen here from 30th January to 4th February. Classes and Camps happen in Diwali and Holi. The temple is decorated beautifully on Mahivir Jayanti and other Jain festivals.